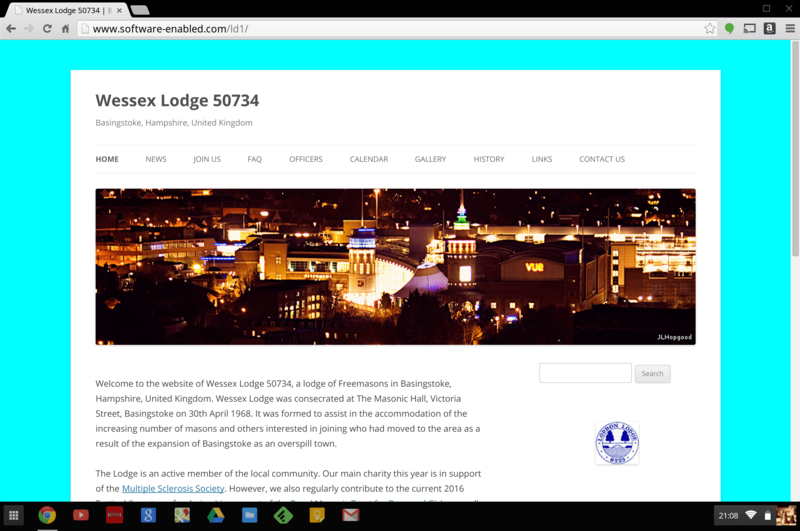 One of our services is the provision of WordPress powered web sites specifically designed for Freemason Lodges that operate under the auspices of the United Grand Lodge of England (www.ugle.org.uk). How are we trying to help Freemason Lodges like yours? We send you a copy of the Lodge Site Maintenance Guide, which gives the step by step instructions on how to update your website; you are free to download this now if you wish from Lodge Site Maintenance Guide (note: circa 15MB PDF). Once (and only if) the site and content is approved by your lodge, we request payment of an invoice £300+VAT (£360 total) for the site content, deployment and first years support/maintenance. Subsequent years cost £100+VAT (£120), payable either monthly by standing order, or annually, at your option. After the initial one year payment, if at any time you elect to move away from us in the future, we will provide the site content and domain name back to you at no further cost. More than half of web site access to the lodge sites we design is on mobile phones and tablets (we suspect to a younger audience than is typical of membership of most lodges); content you provide once only will reformat themselves to look neat and tidy to everyone, whatever device they use to view your Lodge web site. The full structure and sample text is supplied; a lot easier to edit than to start on your own bat with a several blank sheets of paper. We provide a user guide to help get you started editing your Lodge web site content and adding pictures as fast as possible. Once paid, we provide a web site domain name for your lodge (or can use an existing one if already purchased). 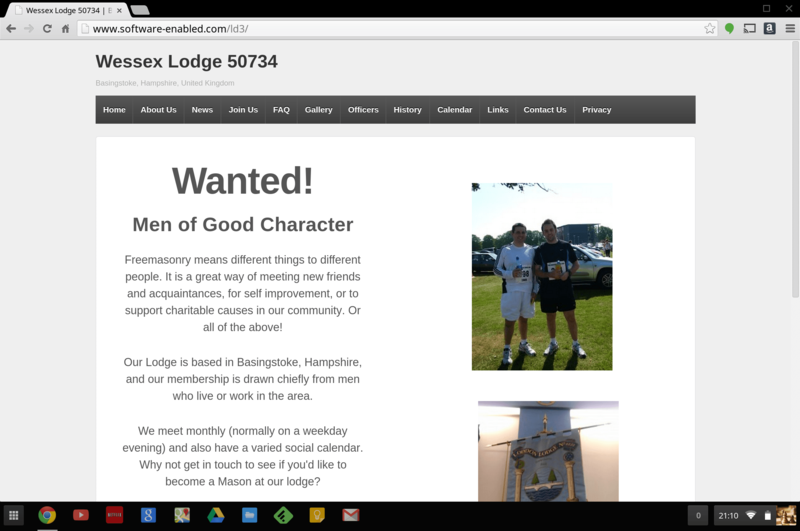 We will also initiate some work with Google to direct people enquiring about Lodge membership on the Internet in your catchment area to the “join us” section of your web site. We are available on the phone, or by email, if you need any help or assistance. We are also happy to consider alternative template designs, if we can source these cost effectively and if they are “responsive” in nature (that’s the industry term for web sites that can repurpose their layouts automatically to fit on different size screens, from small mobiles up to large TVs). 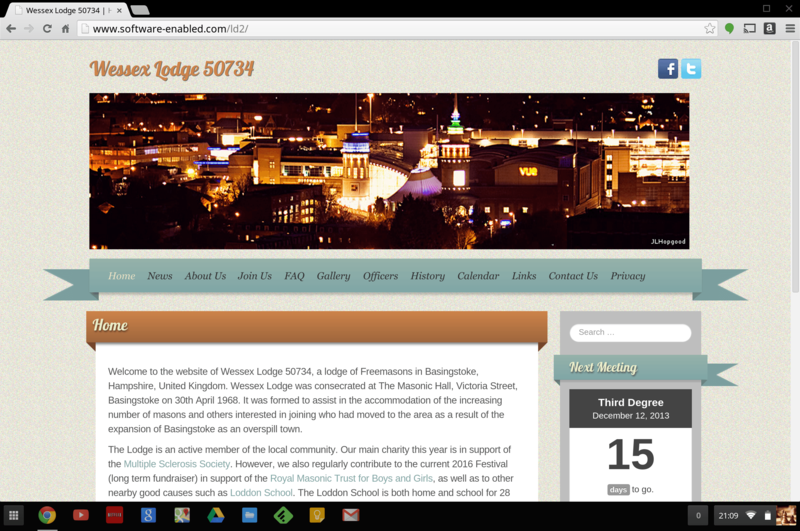 The full site, as you tailor it’s content, can be viewed by your Lodge by entering that web address we provide. Once approved by the lodge and fee paid, we will buy a domain name for you (or use any existing one on request), and point this to your site. At that time, the Lodge site will become viewable on the Internet at large and indexed by Google. Want to get started? Just email [email protected] or call Ian Waring on 07446-840511. We can typically have the first instance of your web site up and ready for tailoring in under one hour.